The Black Sage Road vineyard that is home to the recently opened Platinum Bench Estate Winery stood apart over the years as the only one with scarecrows guarding the ripening grapes. Whether the scarecrows – the idea of the previous owners – deter the birds is debatable. But they add such character to the vineyard that they have been retained by Murray Jones and Fiona Duncan, who bought the property in 2011 to develop this winery. Platinum Bench opened its pleasant wineshop in late May to serve its first three releases. Guests who choose to linger can take advantage of seating on a westward-facing beck behind the wineshop, with great views on the vineyards and the valley. They also get to taste the wines from stemware so good that I took it to be Riedel wine glasses. Fiona chuckled at that. “Two dollars a stem at Costco,” she said. She certainly got a great deal. The winery is a second career for Murray and Fiona, who moved to the Okanagan from Winnipeg. The idea of starting a winery came to them a dozen years ago during a cycling vacation through the vineyards of Bordeaux. “It was one of those ‘ah ha’ moments when we were out in the vineyards,” Fiona remembers. “What an incredible reality that somebody has this as their lifestyle!” But they returned to their fast-paced business lives in Winnipeg. It took an Okanagan vacation seven or eight years later rekindle the idea. Murray, who was born in Winnipeg in 1954 and graduated initially in zoology, became a chartered accountant to pursue a successful career in manufacturing (buses, garments, tents for the military). Fiona, who was born in 1962 and grew up in West Vancouver, met Murray after she went to Winnipeg in 1988. She spent a number of years as vice-president of production development for Nygård International, a major garment designer and manufacturer. “We’ve always had a keen interest in wine,” Fiona says. They absorbed knowledge from Murray’s sister, Tina Jones, a wine educator and owner of a Winnipeg wine store called Banville & Jones. They both supplemented their knowledge by taking the first level of sommelier training. 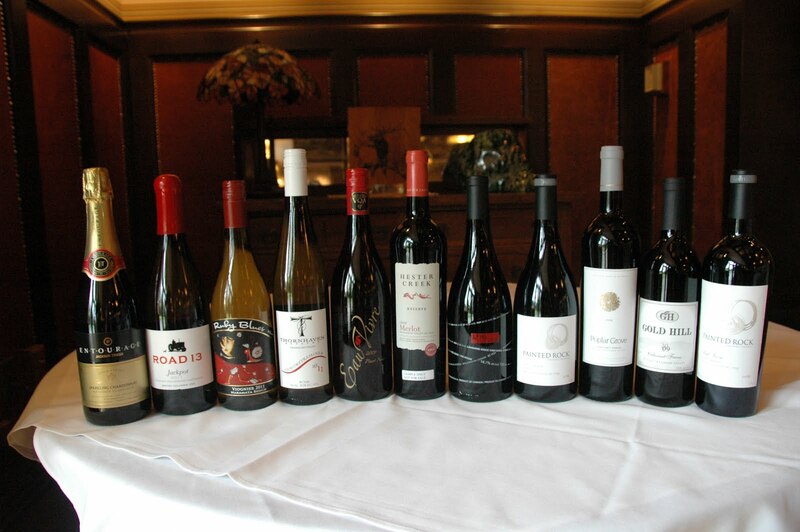 Many of the wines they purchased in Winnipeg were from California; Manitoba gets only a limited selection of British Columbia wines. They were astonished at the quality of wine in the south Okanagan when they vacationed there. They were especially impressed by a bottle of Cabernet Sauvignon from Road 13. They researched the wine business for a couple of years before buying the vineyard on Black Sage Road. It had been established by Regine Mauz and Gerhard Hammerl, who also originated the scarecrows. With an eye to having red wine when winery opened, Murray and Fiona bought red grapes in 2010 from Harry McWatters’s Sundial Vineyard, nearby on Black Sage Road, and arranged to have the wine made for them. They took over their vineyard in 2011. The 5.6-hectare (14-acre) vineyard, about 15 years old when they bought it, grows Chardonnay, Pinot Gris, Merlot, Cabernet Sauvignon, Merlot and Gamay. Some of the grapes are being sold while the winery is getting established in the market. The white wines were made on the property in 2011 while the reds were made at Okanagan Crush Pad’s winery, all under the hand of Michael Bartier, the winemaker who made that Road 13 Cabernet Sauvignon that so impressed the Platinum Bench owners. In addition to the three debut wines, a Gamay Noir is going to be released this fall. These are the wines. Platinum Bench Pinot Gris 2011 ($19.90 for a production of 165 cases). The wine is crisp and refreshing, with notes of apple, citrus and pear. 88. Platinum Bench Chardonnay 2011 ($24.90 for 350 cases). The wine has a very subtle oak treatment, leaving centre stage to the fruit – a style appealing to the many who like fruit-forward Chardonnay. This wine begins with vibrant citrus aromas, leading to fresh citrus and apple flavours, with just a hint of oak. The bright acidity gives the wine a refreshing finish. 89. Platinum Bench Bench Mark Red 2010 ($29.90 for 300 cases). This is a blend of 42% Cabernet Sauvignon, 42% Merlot, 8% Cabernet Franc – and 8% Gamay Noir. “The Gamay softened the blend,” Fiona explains. It is a delicious wine with aromas of cherries and blackberries and with flavours of cherries and blueberries. 89. Church & State Wines Coyote Bowl winery on the Black Sage Bench has one of the Okanagan’s most appealing tasting rooms. Guests are seated comfortably at a long bar, looking into the winery’s premium barrel cellar. Behind the guests, floor to ceiling windows provide an expansive view over vineyards. This summer, the winery added a covered outdoor tasting bar with an unusual feature: a chiller to keep wines cool and, on days when the heat soars, to keep guests cool as well. The main event here, of course, is the wine. Jeff Del Nin, the winemaker, seems to be crafting the wines in style that is consistent. The white wines are stress clean, vibrant fruit flavours, although he indulged in making one Chardonnay with plenty of oak. The bold reds invariably show ripe tannins, giving them an accessible richness that is immediately appealing without compromising their ability to age. Church & State Cuvée Blanc 2011 ($20). This refreshing white is a blend of 61% Gewürztraminer, 39% Riesling and 10% Chardonnay Musqué. Given the array of aromatic varieties, it is no surprise that the wine begins with aromas of floral spice, with flavours of apple and melon and more spice on the finish. Even though there is a touch of residual sugar, the wine is balanced to finish dry. 90. Church & State TreBella 2011 ($25.90). This is the winery’s second vintage of this complex Rhône-style white, a blend of Marsanne, Roussanne and Viognier. The aroma includes a hint of smokiness, perhaps reflecting the acacia barrels in which some of the wine was finished. On the palate, there are flavours of apricot and tangerine. The minerality gives the wine a disciplined texture. 90. Church & State Viognier 2011 ($N.A.). This is a big, ripe barrel-fermented Viognier with flavours of ripe pear and apricot. The finish is dry but rich. 90. Church & State Church Mouse Chardonnay 2011 ($NA). Designed to be a fruit-forward Chardonnay, this wine was aged in neutral oak barrels. The wine has citrus aromas, with flavours of tangerine and a touch of the buttery character that comes with a bit of malolactic influence. Lees stirring contributed to a rich texture on the palate. 89. Church & State Cabernet Blanc Rosé 2011 ($20). The winery now produces between 500 and 700 cases of rosé annually. That says something about the popularity of rosé in general and of the Church & State style in particular. The wine is made primarily with Cabernet Franc juice, with a little Merlot, left on the skins until the appropriate colour has been picked up. Then the wine is fermented like a white wine. This juicy, flavour-packed rosé has aromas of strawberries and cherries and tastes of strawberries and kiwi. It is balanced toward dry with just enough residual sugar to give the wine a juicy appeal. 90. Church & State Cabernet Franc Coyote Bowl 2009 ($35). The term, Coyote Bowl, on the label of a Church & State wine signifies a premium wine. The wine may have been grown in the winery’s Coyote Bowl Vineyard – but not necessarily so. The grapes in this wine were purchased from a Similkameen vineyard. It is a classic brambly Cabernet Franc, with spicy aromas of currants, cherries and blackberries and with flavours of black currants, blackberry, vanilla and mocha. Delicious now, it has the structure to age well for another five years. 90. Church & State Cabernet Sauvignon Coyote Bowl 2009 ($35). The grapes for this elegant Cabernet Sauvignon come from an Osoyoos vineyard. The warmth of that terroir comes through in the ripe, concentrated texture of this wine. It begins with aromas of mint and red berries. On the palate, there are rich flavours of cassis, black cherry and vanilla. This wine has at least five years of aging potential. 92. Church & State Meritage Coyote Bowl 2008 ($35). This wine, made with Cabernet Sauvignon, Cabernet Franc and Merlot from several vineyards, has won at least two gold medals in competition. Aged 31 months in oak, the wine has achieved a polished texture. There is a hint of blueberry and sage in the aroma. The berry flavours rest on long ripe tannins. 90. Can a winery succeed just with sparkling wine? Obviously: it has been done in Champagne for centuries. Now the model has been picked up in British Columbia by Bella Wines, a new virtual winery launched this summer by Jay Drysdale and Wendy Rose. Their first two sparkling wines, one made with Chardonnay and the other with Gamay Noir, are impressive. The bad news is that they launched with just 275 cases. They have been selling the wines personally for about a month and are 70% sold out. “We are excited to be doubling production for next year as we shoot for 600 cases,” Jay told me in a recent email. Success by Bella may signal a rising appreciation in the market that sparkling wines have a place at the dinner table, not just at weddings and New Year parties. Bubble is well suited to pair with Asian cuisine. On Vancouver Island, Zanatta has been joined as a bubble producer by Starling Lane, Venturi Schulze Vineyards, Rocky Creek Winery and SouthEnd Farm & Vineyards. Nearly all of the ciders from Sea Cider Farm are sparkling. Daniel Dragert, the former winemaker at Averill Creek, is exploring launching a winery to make bubble. Both he and Jay recognize that the island is excellent terroir for sparkling wine production. When Jay and Wendy, who now have the wines made by Okanagan Crush Pad, put down production roots, it likely will be on the island. Jay, who was born in Kamloops in 1972, came to wine through food, paying his way through college by cooking in various Vancouver restaurants. There was a career detour in Calgary where, among other ventures, he developed a chain of spas. But he also enrolled in a sommelier training course. Fascinated with wine, he began working in wine stores. The rising profile of Okanagan wine brought him back to British Columbia in 2004, first as a manager of the Twisted Oak restaurant and wine store in Oliver. He moved from there to the British Columbia Wine Institute in 2008 and then in 2010 took a sales position with the Enotecca group of wineries for two years. “That’s when I fell in love with winemaking,” he says. With some coaching from Severine Pinte, the winemaker at Le Vieux Pin, Jay made wine for personal consumption and he enrolled in Washington State University’s winemaking program. A financial consultant for technology startups, Wendy grew up in California, the daughter of businessman whose hobby was wine. For many years, her father imported 300 cases of Champagne a year from a producer named Alain Vesselle. “When Jay first told me that he wanted his own brand of sparkling wine, I laughed. I said, ‘Dude, I have been drinking Alain Vesselle Champagne every day for the last 30 years’,” Wendy says. To start their own venture, the couple purchased grapes last fall and contracted Michael Bartier to make the wine at Okanagan Crush Pad’s new facility in Summerland. As Bella heads for an annual production target of 3,000 cases, the business could require its own facility. “The big thing we discovered is that having everything hand riddled and bottled is a huge production issue,” Jay says. “It may mean having our own space.” As well, Okanagan Crush Pad is launching its own sparkling wines next year. Bella 2011 Gamay Noir Sparkling Wine ($24 for a production of 130 cases). The wine presents an attractive rose petal hue, a fruity aroma and palate with hints of cranberry, and a lively mousse with a creamy texture. The finish is dry and refreshing. 90. Bella 2011 Chardonnay Sparkling Wine ($24 for a production of 115 cases). Once again, the lively bubbles set up quite a display in the flute. The wine is crisp, with hints of toastiness and with slight apple flavour notes. Light and fresh on the palate, the wine has a clean and elegant finish. 90. The White Spot restaurant chain, which sells about 10,000 cases a year, has launched a wine list exclusively made up of BC VQA wines. The legendary chain, which was started in 1928 by Nat Bailey, now has 124 locations. Most are in British Columbia but there also are White Spots in Alberta and in Asia. Dedicated to supporting local suppliers, White Spot each year buys -- among other products -- 5,000,000 pounds of potatoes, 675,000 pounds of tomatoes and 73,000 pounds of blueberries from British Columbia sources. The restaurant chain has played it safe with its initial wine list, which consists of familiar varietals from recognized wineries. Erhart is open to expanding the list, perhaps with season specials. “You’ll see more wines added to the list,” he says. He expects that White Spot will increase its wine sales by 10% this year just by featuring only British Columbia wines. Wine currently accounts for about 25% of White Spot’s sales of beverage alcohol. He expects the wines will not only appeal to local residents but also the many tourists who dine at White Spot. Consumers can bring their own wine as well now that British Columbia is allowing guests to take their own to so-called “participating” restaurants. Restaurants that agree to the “bring your own wine” program have begun to announce the corkage fees they will charge for serving wines brought in by consumers. The corkage charge at White Spot is $10, in tune with the restaurant’s good value philosophy. That is at the low end of the corkage charges that are being levied. A list can be found at www.bccorkagefees.blogspot.ca. The most common corkage fee is $20, although there are other restaurateurs that, like White Spot, have value-oriented corkage fees. The Thai House chain of restaurants has settled on $12. The most aggressive corkage fee $60 at the Bearfoot Bistro in Whistler, which already has one of the best wine lists in British Columbia. Bearfoot Bistro is not the sort of restaurant to which one would take a bottle of Two Buck Chuck. If they bring their own wine to this restaurant, the high-roller patrons are more likely to show up with special bottles like Château Pétrus, so expensive that the corkage charge would be a trifle. When you have had enough of the quaint charm of Victoria, it is time to take a break in wine country. Yes, wine country. The Saanich Peninsula currently has eight producers – include a very good maker of gin and an excellent cider house – that operate tasting rooms. Some are open weekends only and others are open all week from May to October. These producers are within half an hour of downtown Victoria. Those who prefer not to drive can easily book tours with one of several tour companies. During the recent Taste festival in Victoria, a food and wine festival dedicated to British Columbia wines, Tourism Victoria hosted a small Saanich Peninsula tour to illustrate the variety of tour options that are available. Only three producers were included on this leisurely tour. It would have been no trick, moving at a faster pace, to visit six, but Victoria and fast pace don’t seem to go together. That’s part of Victoria’s charm. The first stop was Sea Cider Farm & Ciderhouse. Now in its fifth year, Sea Cider sells its ciders in private wine stores all over British Columbia and has recently broken into markets in Washington and Oregon. The idea of making European-style ciders came to owner Kristen Jordan (below), who was born in Medicine Hat, when she was studying at a college in Wales in 1985. The pubs all had local ciders on tap and she developed a palate for them. She already had a strong interest in apples from a family-owned orchard in the Shuswap. After immersing herself in a career as an international consultant on food security issues, she bought a former sheep farm on the Saanich Peninsula with a view eastward to the Haro Strait. Here, she planted about 50 varieties of apples on four hectares (10 acres). All 1,200 trees are on dwarf rootstock. It gives the orchard a rather stunted appearance but it also means that the pickers don’t need ladders to gather the fruit. The cidery, which was built in 2006, has a spacious rustic tasting room – a design probably inspired by those Welsh pubs. And in the spirit of a good publican’s ploughman’s lunch, Sea Cider also offers simple but delicious food to go with the ciders. We have grown up in British Columbia with apple ciders that are refreshment beverages. Ciders in the European style, while tasty on their own, have flavours and textures that, much the same as wine, pair well with food. At Sea Cider, most are dry or only slightly off-dry sparkling ciders, with moderate alcohols of 6 to 8 percent. Flagship ($15) is crisp, light and refreshing, with a green apple tang on the dry finish. Kings & Spies ($15) is crisply dry, with a refreshing finish and with good body. It is named for two heritage apple varieties but it is likely to have many more in the mix because Sea Cider buys apples through a social program for local food security, in which pickers harvest the fruit of Victoria area hobby farms. Rumrunner ($17) has always been one of Sea Cider’s most interesting products, a full-bodied, generously flavoured cider with 12% alcohol. Production includes aging the cider in barrels which are first saturated with a Newfoundland rum called Screech. The result is a cider tasting like baked cinnamon apples, but not as sweet. In total, there are usually eight or nine ciders on offer here, including Pomona ($25 for a 375 ml bottle), a dessert style product made from crabapples and modelled after Icewine. The second and third stops on the day were on Old West Saanich Road, a narrow and winding road that – in the classic Victoria pace – cannot be taken too fast. There are actually four producers on this country thoroughfare. Starling Lane Winery is by any measure one of the best wineries on Vancouver Island. Because production is small, the wine shop generally opens on weekends only. Nearby is Dragonfly Hill Winery, another tiny producer open on weekends or by appointment. The two we visited are across the road from each other. Victoria Spirits also opens its tasting room and retail store on weekends. If one of the distillers is on hand, they will throw in a small tour to see the German-made still, a work of art as stills sometimes can be. This producer opened in 2004 as a winery called Winchester Cellars. It was then owned by Ken Winchester, who trained as a distiller in Scotland and began making Victoria Gin. Winemaking stopped when he left but the new owner, Victoria doctor Bryan Murray, continued making spirits. Peter Hunt (right), his stepson, harnessed his science degrees to take over as master distiller. Selling for $50 a bottle, Victoria Gin definitely ranks among the world’s fine premium gins. It is a complex product with 10 botanicals flavouring the blend. As good as this gin is when taken straight, I would suggest taking a bottle of tonic water with you to the tasting room. Victoria Spirits makes about 1,200 bottles of gin each month, along with a barrel-aged product called Oaken Gin and another spirit called left coast hemp vodka. As well, Peter is working on making a malt whisky. De Vine Vineyards, on the other side of Old West Saanich Road, occupies a hill top with a dramatic vista over the Strait of Georgia with Mt. Baker on the horizon on a clear day. This view is one reason why the winery, open Thursday through Sunday and by appointment, has added a large patio in front of the wine shop. Here, you can sit with a glass of wine and take in that stunning view. The winery is a family operation opened two years ago by John and Catherine Windsor. The owner of a real estate portfolio, he bought this Saanich property several years ago as a second home. The Windsors planted vines (Pinot Noir, Pinot Gris and Grüner Veltliner) to enhance the beauty of the east-facing slopes on the property. The original idea was to sell the grapes to Winchester Cellars. When their neighbour decided against making wine, they retained Ken Winchester as a consultant to launch their own winery. He mentored their daughter-in-law, Natalie, (right)who has now become a very capable winemaker. De Vine opened its tasting room last year with wines made with Okanagan fruit, in part because the organically-grown vines here are young and in part because it gives the winery more options. Judging from the taste of the wines, de Vine has found vineyards in the Okanagan that grow excellent fruit. Roussanne 2011 ($20) and VRM 2011 - Viognier, Roussanne, Marsanne – ($21) are two 90 point white wines made with Okanagan grapes. Both show rich fruit flavours and aromas, with the Roussanne showing added complexity from having spent a little time in new French oak. Gamay Noir Rosé 2011 ($18) is peppery with cherry flavours and with a dry finish. 89. The winery currently offers a quaffable, full-bodied red, Dornfelder 2011 (88 points), from a grape rarely seen on its own because it often is used to darken the colour of red wines. From its own vineyard, de Vine has released Pinot Gris 2011 ($15), a light but crisp white with aromas of citrus and with tangy citrus flavours, making it a refreshing wine. 88. Natalie also makes a fortified dessert wine that changes its constituent fruit every year. Epiphany 2011 ($19) is made with Dornfelder and black currants, giving it a good dark hue and a lovely cassis aroma. The port-style wine is deliberately made not to be overly sweet. 88. Future releases will include Merlot, Syrah and Pinot Noir, all from Okanagan fruit. This tasting room merits several visits through the season. Anything but Albariño? Not likely! At Terravista Vineyards, their new winery, Senka and Bob Tennant have scored another Canadian winemaking first by releasing a white blend from two Spanish varietals, Albariño and Verdejo. When they were partners at Black Hills Estate Winery, that winery released the first Carmenère in Canada. Carmenère is old Bordeaux red that is practically extent in France but flourishes in Chile. Black Hills was sold in 2007. Bob and Senka took a little time off before buying a small property on the upper Naramata Bench. They decided to do something different again by planting these two Spanish whites. A neighbour also planted a few acres. The new Terravista winery, with a capacity to produce only 1,700 cases a year, was completed last year, introducing the first of the two whites – and the only wines – that they plan to make. The initial release was a 2010 vintage called Figaro, made with purchased Roussanne and Viognier. Their own vineyard was not yet in production. Now, Terravista has released both whites from the 2011 vintage – another Figaro and the new blend of the two Spanish whites from their own vineyard. It goes by the catchy name, Fandango. Figaro is $24 a bottle and Fandango is $25. They are being offered by the case (or mixed case) on the winery’s website. Terravista does not have a wineshop. I have not had a chance to taste the new Figaro. I expect I will find it at least as impressive as the 2010, which I did taste. Senka and Bob were the first to plant Albariño and Verdelo in the Okanagan. I believe a little more has been planted since, but there will never be enough to spark an “anything but Albariño” movement. In fact, the fine Terravista wine is likely to spur others to plant some. Albariño is grown primarily in Spain and Portugal and typically goes into white blends. You might see some Australian Albariño but it turns out that the Australians were erroneously sent cuttings of a French white called Savignin. Verdejo also grows mostly in Spain and is used for sherry as well as white wine. It is logical that Senka would grow both for a blend because the varieties are quite complimentary – the Albariño brings the structure, the Verdejo brings aromatics and fullness. On my recent Russian river boat vacation, the house wines on the ship were both Spanish. The white, undoubtedly a blend using these two grapes and perhaps others, was particularly good. There was not a day when I did not have a few glasses. So you might imagine I was looking forward to Senka’s wine. Yes, it took me back to cruising again. Here are my notes on Fandango. Terravista Fandango 2011 ($25). Fairly pale in colour, the wine begins with a lovely floral perfume … honey suckles, rose blossoms … to draw you in with a springtime freshness. There are layers of flavour on the palate, beginning with lime and lemon and going on to melon and apple. The fresh, crisp finish and the touch of minerality give this wine a laser-like focus. A marvellous white! 92. 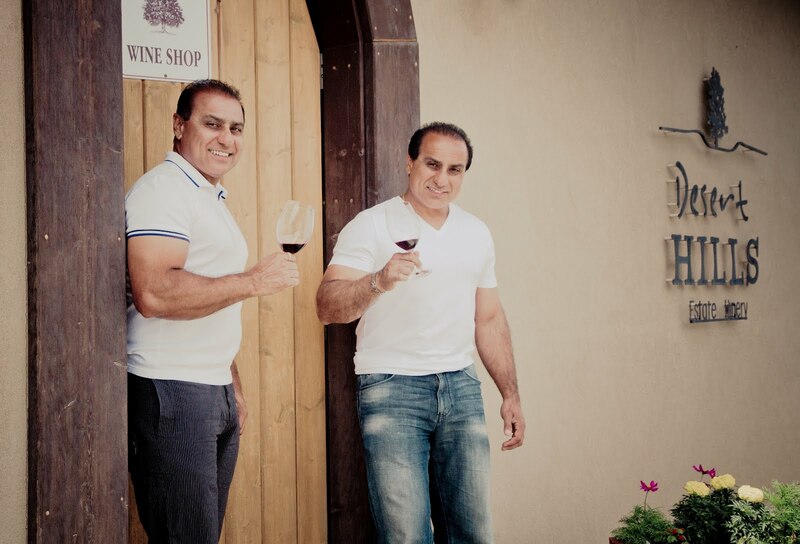 In the 1980s, Randy and Jesse Toor, the twin brothers who run Desert Hills Estate Winery, spent summers working in vineyards on Black Sage Road. They remember looking at the orchards that also flourished in the neighbourhood and dreamed about owning one. That memory inspired the smart new label that Desert Hills launched this spring. The tree embossed onto the crisp white label represents the orchard they once coveted. After buying it in 1988, they soon learned about the difficult economics of apple growing. In 1995, they replaced the apple trees with grape vines, mostly red varietals, opening their winery in 2003. A decade later, this successful family business (brother Dave is also an owner) produces between 8,000 and 10,000 cases a year of wines that frequently win awards. The current releases are impressive. Here are my notes from a recent visit to the compact Desert Hills wine shop. Desert Hills Unoaked Chardonnay 2011 ($16.90 for a production of 600 cases). If a winery has to make unoaked Chardonnay, this might be the template. The wine is crisply fresh, with flavours of apples and citrus and with a long juicy finish. 89. Desert Hills Cactus Series White 2011 ($16.90 for 1,200 cases). This is an unusual blend of Viognier, Pinot Gris, Gewürztraminer and Chardonnay but it works. The aromatic varietals give the wine herbal aromas. On the palate, there are flavours of pineapple, pear and apple with a crisp mineral note on the finish. 89. 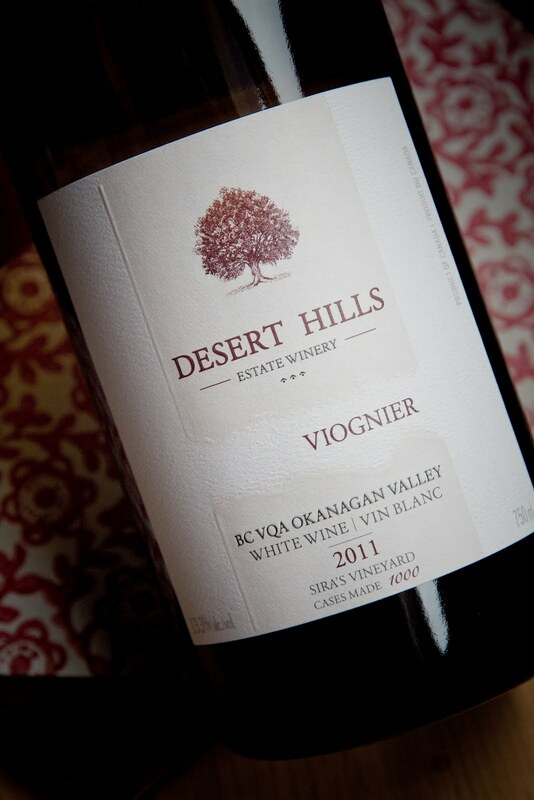 Desert Hills Viognier 2011 Sira’s Vineyard ($24.90 for 1,000 cases). Here is a delicious white, with aromas and flavours of apricot, ripe pineapple, apple, and with spice and minerals on the crisp finish. 90. Desert Hills Gewürztraminer 2011 ($22.90 for 1,133 cases). Here is a very good varietal expression of Gewürztraminer, begin with aromas of rose petals and spice. On the palate, there are layers of lychee and citrus flavours, with a fleshy texture and a long finish. 91. 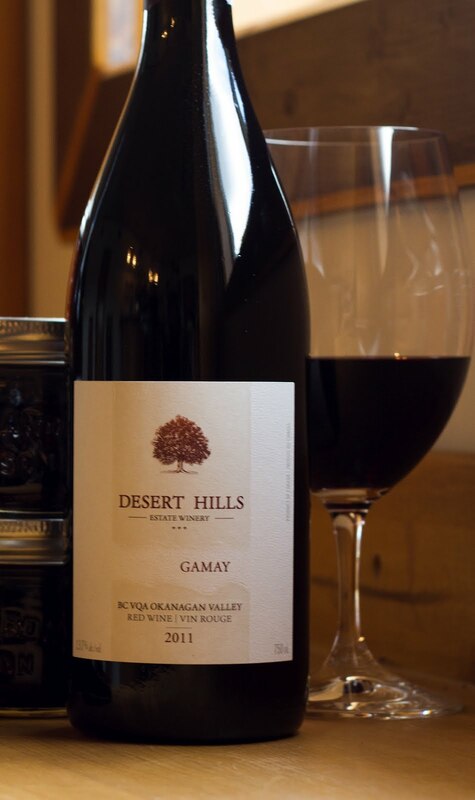 Desert Hills Gamay 2011 ($19.90 for 2,200 cases). 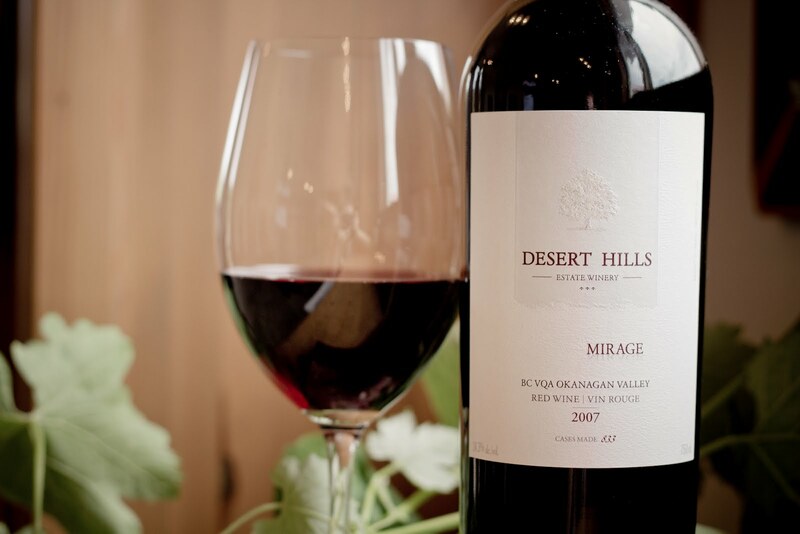 Along with Blue Mountain and Robin Ridge, Desert Hills makes some of B.C.’s best Gamay. This dark-hued wine has black cherry and cinnamon aromas, with earthy black cherry flavours. The cinnamon kicks in again on the long finish. 90. Desert Hills Merlot 2008 ($24.90). The four years of bottle age enabled this wine to develop aromas of cassis and sweet berries, which carry through on the flavours to a spicy finish. The texture is firm enough to give this a few more years of cellaring. 88. Desert Hills Syrah 2008 ($36.90 for 1,200 cases). This is a rich and ripe Syrah, with aromas of pepper, red fruit and spice and with earthy flavours of of figs and prunes. 91. Desert Hills Cabernet Sauvignon 2008 Three Boys Vineyard ($29.90). The wine begins with the classic minty aromas of the variety, along with cassis. On the palate, there are flavours of black currants. The tannins are long and elegant. 88. Desert Hills Cabernet Franc 2008 Eagle’s Nest Vineyard ($26.90). Big and concentrated, this wine begins with brambleberry aromas. On the palate, there are flavours of blackberry, currants and chocolate, with a long, satisfying finish. 90. Desert Hills Mirage 2007 ($36.90 for 833 cases). This is the winery’s flagship Bordeaux blend: 40% Cabernet Sauvignon, 30% Merlot, 15% Malbec, 10% Cabernet Franc and 5% Petit Verdot. Firm and muscular, this wine begins with aromas of vanilla and cassis. On the palate, the concentrated texture opens to reveal flavours of black currants, chocolate and tobacco, with a note of liquorice on the lingering finish. 92. Soaring Eagle Winery on Naramata Road has changed its name to Bench 1775 Winery and has hired Richard Kanazawa as its winemaker. Soaring Eagle was arguably the centrepiece of the seven Holman Lang Group of Wineries which went bankrupt in 2010. All but two have since reopened under new owners and, usually, with new names. Soaring Eagle was purchased in 2011 by Jim Stewart, the owner of icewine producer Paradise Ranch Wines, in partnership with Peter Wille, a veteran marketing executive from Mission Hill Family Estate Winery. The partners spent the past year renewing the property, which had become a little rundown during the Holman Lang problems. And they took their time deciding on how to rebrand the winery, even releasing some wines last year that were labelled Intermission. The Soaring Eagle brand was launched almost a decade ago at Lang Vineyards when Ross Mirko, then the winemaker, crafted a series of wines that were barrel aged and aimed at premium quality. When Keith Holman bought the Lang winery, he spun off the Soaring Eagle brand for a new winery he developed at 1775 Naramata Road, on a bench overlooking Okanagan Lake. While it does indeed have one of the finest views of Naramata Bench wineries, it never reached its potential under the Holman ownership. The new owners have finally settled on a simple device for rebranding: use the street address. The first wines released under the new label are a 2011 Chardonnay ($19) and 2011 Sauvignon Blanc ($18). To take the winery to the next level, they have hired a veteran winemaker, Richard Kanazawa. In 2002 he went to Australia, taking courses at Charles Sturt University and working at several wineries. The Simon Gilbert winery recognized his potential. “They said I was being wasted in the cellar, so I moved up to the lab.” He returned to Canada in 2004 with winemaking experience on his resume, joining Red Rooster for two vintages and moving to Blasted Church Vineyards for four vintages. Last year he took over winemaking at Lang Vineyards, which was also emerging from the Holman Lang bankruptcy with new owners. This spring, a falling out with those owners led to Richard’s departure from Lang. Over his career, he has proved himself a capable winemaker. Red Rooster won a Lieutenant Governor’s Award of Excellence for a Malbec that Richard made there before moving to Blasted Church. The latter winery then won a Lieutenant Governor’s Award with a Syrah that Richard made. When the Bench 1775 vineyard is up to speed, one would anticipate that Richard will begin making good wines here as well. The trio of wineries presented here includes Mission Hill, perhaps the best known of the Okanagan wineries, along with Therapy Vineyards, a rising star on the Naramata Bench, and Backyard Vineyards, a fairly new Fraser Valley label. These wines were originally going to be tasted not only by me but also by my neighbours at our annual block party. The foul weather recently has led to a two month postponement of the party. That’s too long to sit on these wines, so I have gone ahead to taste them now. Backyard operates under the umbrella of Neck of the Woods Winery in Langley. Formerly known as Glenugie Winery, the winery was purchased from the founding family several years ago by real estate developers Ewen Stewart and Trent Blackwell. They also own a vineyard near Abbotsford and plan a second winery there, which will be called Backyard Vineyards. The application was recently filed with the city of Abbotsford. The wines being released now are establishing the brand. Many of the wines are made with Okanagan grapes. The Glenugie and the Backyard vineyards in the Fraser Valley grow Pinot Noir, Pinot Gris, Sauvignon Blanc, Gewürztraminer, Chardonnay and Merlot. A significant amount of the Fraser Valley fruit is being turned into sparkling wine under the direction of Mark Wendenburg, who formerly made the award-winning Steller ’s Jay Brut at Sumac Ridge Estate Winery. Therapy occupies the original location of Red Rooster Winery. When the latter winery moved to larger buildings on Naramata Road in 2004, the property was acquired by a group of Alberta and British Columbia investors. They came up with the name, Therapy, because they found the scenery over the vineyards to be therapeutic. Almost all of the Therapy labels are inspired by psychoanalysis and by Sigmund Freud, the father of psychoanalysis. Mission Hill releases its wines in four tiers. The Five Vineyards tier is the lowest-priced tier, with the Reserve wines one rung up in price. Backyard Vineyards Nosey Neighbour White 2011 ($14.99). This is a blend of 61% Pinot Gris, 17% Riesling, 17% Siegerrebe and 5% Gewürztraminer. The Siegerrebe gives this wine a floral aroma and quite fruity, spicy flavours. Think of crossing fresh apples with rose petals. This is a good apéritif wine. 88. Backyard Vineyards Sauvignon Blanc 2011 ($17.99). Once again, the style leans to flinty austerity (think of Graves), with herbs and citrus on the nose and a touch of herbs and grassiness on the palate. 86. Backyard Vineyards Cabernet Sauvignon 2010 ($19.99). This red, along with the next two, are made with Okanagan grapes since it is next to impossible to ripen these varieties in the Fraser Valley. This Cabernet begins with aromas of mint, blueberry and vanilla. On the palate, the tannins are ripe but firm enough to allow some cellaring. There are flavours of black currant and vanilla. 87. A word on cellaring these reds: Backyard currently uses synthetic (plastic) closures. I would not trust these closures for storing wines for more than three years. Backyard Vineyards Merlot 2010 ($16.99). This wine begins with aromas of black currants, with a hint of coconut that likely reflects the barrels it was aged in. On the palate, it is still tight, with dry tannins that need time to soften. When they do, they reveal bright red berry flavours. 86. Backyard Vineyards Syrah 2010 ($24.99). Here is a wine with excellent varietal expression: white pepper, plum and black cherry aromas and flavours. It is a full bodied red. With breathing, the cherry flavours pop out vividly amid the pepper and vanilla notes. 88. Mission Hill Family Estate Reserve Pinot Gris 2010 ($19.99). The winemaker aimed for complexity here, fermenting 10% of the juice in new French oak and leaving the wine on its lees for four months. The result is a fleshy wine with toasty notes on the palate and flavours of ripe pears. 88. Mission Hill Family Estate Five Vineyards Pinot Blanc 2011 ($14.99). Here is a wine for seafood – crisp, with aromas and flavours of apples, and with a backbone of minerals. 87. Mission Hill Family Estate Five Vineyards Sauvignon Blanc 2011 ($14.99). This is 91% Sauvignon Blanc, 9% Sémillon. Light in body, this is a refreshing white with aromas and flavours of lime, grapefruit rind and herbs and with a racy acidity. 88. Mission Hill Family Estate Five Vineyards Pinot Grigio 2011 ($15.99). The style is deliberately different from the Pinot Gris. The emphasis here is juicy freshness with flavours of citrus, pear and peach. 88. Mission Hill Family Estate Five Vineyards Pinot Noir 2010 ($19.99). This is a charmer, with aromas of strawberries and cherries which follow through to the silky palate. 88. Therapy Vineyards Freudian Sip 2011 ($17 for a production of 2,388 cases). This is a blend of 54% Pinot Gris, 27% Riesling, 12% Sauvignon Blanc and 7% Sauvignon Blanc. The appeal starts with the floral and herbal aromas. On the palate, there are flavours of orange, apricot and papaya. The tangy finish is crisp and refreshing. 90. Therapy Vineyards Artist Series Riesling Kerner 2011 ($20 for a production of 204 cases). This blend is 75% Riesling, 25% Kerner. This is a juicy, off-dry white with citrus aromas. The residual sugar balances the acidity, lifts the aroma and enhances the flavours of lime and apricot. 88. Therapy Vineyards Sauvignon Blanc 2011 ($20 for 337 cases). The freshness of the aroma reminded me of an early morning meadow. The wine is light and delicate, with a touch of lime on the palate. 88. Therapy Vineyards Alter Ego 2011 ($24 for 510 cases). This blend is 45% Pinot Gris, 40% Sauvignon Blanc, 10% Viognier and 5% Chardonnay. Each variety was fermented separately in stainless steel and then given some time in barrel. The final blend also had three months in oak. The oak treatment is evident mostly in the rich texture of this complex white, with its flavours of ripe pear and herbs. The finish is dry. 90. Therapy Vineyards Chardonnay 2010 ($22 for 305 cases). Twelve months in French oak have given this wine toasty notes on the aroma. It has flavours of pear, citrus and coconut and a full texture. The oak treatment, however, does not overwhelm the fruity flavours. 89. Therapy Vineyards Pink Freud 2011 ($17 for a production of 930 cases). This rosé is 78% Merlot and 22% Pinot Noir. A fellow taster spent six months in the south of France some years ago. This wine took her back to fond memories of drinking rosé! It has appealing aromas of raspberry and plum, with flavours of raspberry, cherry and cranberry. There are layers of juicy flavours but the finish is dry. 90. In early 2011, Michael Bartier turned over the winemaker’s role at Road 13 Vineyards to J-M Bouchard with generous praise for the new guy. J-M has now shown that the praise was merited. Road 13 has just won a Lieutenant Governor’s Award of Excellence for a white wine he made in his first vintage there: the Jackpot Viognier Roussanne Marsanne 2011. Early in June, at a visit to the winery, I tasted all of the winery’s current releases with J-M, including several from Michael’s last few vintages there. The quality of the wines is consistently high. I am surprised that the winery only won one award. Three of its wines were among the 43 in the final round of judging at the Lieutenant Governor’s competition. Only 11 awards were given in what is a very rigorous competition. Formerly known as Golden Mile Cellars, this winery has employed three solid winemakers since Mick and Pam Luckhurst bought it in 2003. Their initial winemaker was Lawrence Herder; when he decided to concentrate on his own winery in the Similkameen, the Luckhurts recruited Michael from Township 7. Last year, Michael joined Okanagan Crush Pad Winery, in part to launch his own label. A native of Sherbrooke, J-M (for Jean Martin) became interested in wine after getting a degree in business and hotel management and working in Montréal restaurants. In 1998, he went to Australia, studied wine science at Charles Sturt University. He began making wine in Australia (with a who’s who of vintners) and then went to Alsace and Germany to master Riesling. Coming back to Canada, he started working in the cellar at Sumac Ridge Estate Winery; then he did several vintages at Hidden Bench, one of Ontario’s hot new wineries. He returned to the Okanagan in 2010 to work on the new Don Triggs winery. When Culmina, as that winery is to be called, fell a little behind schedule, J-M accepted the Road 13 job. At Road 13, J-M is working with owners who have ambitious targets for both quantity and quality. This spring, Road 13 bought 19 acres of vineyard on the Golden Mile from Vincor, adding it to the 43 acres it already owns both on the Golden Mile and on Black Sage Road. Mick Luckhurst also purchases grapes but concluded that Road 13’s best wines were often made with grapes he was growing in his own vineyards. He also had a letter of intent to develop a vineyard in the Similkameen with the Lower Similkameen Indian Band. However, he decided his plate is full enough for now and that letter was allowed to lapse earlier this year. In the 2011 vintage, the winery made 30,000 cases of wine, about 50% more than in the previous year. J-M is another one of those winemakers (like Grant Stanley at Quails’ Gate) who says that Pinot Noir is his favourite variety but who clearly gives them all his best. Road 13 Home Vineyard Riesling 2011 ($24). A crisp, dry wine with what the Germans call racy acidity, this begins with herbal and floral aromas. On the bright palate, there are flavours of lime and lemon, with a fine concentration of fruit and minerals. The finish lingers and lingers. 91. Road 13 Mitchell’s Vineyard Gewürztraminer 2011 ($24 for a production of 44 cases). The grapes for this wine came from a Summerland vineyard and the inspiration for the style came from Alsace. This is a dry Gewurz with a rich texture, with aromas of spice, ginger and grapefruit peel and with spicy orange and grapefruit flavours. 90. Road 13 Viognier 2011 ($24). This wine was fermented in neutral oak barrels, fleshing out the rich texture. It has aromas of citrus and stone fruit, with layer upon layer of flavour – apricot, pineapple and peach. 91. Road 13 Old Vines Chenin Blanc 2011 ($24). The profound flavours and minerality of this remarkable wine reflect that the grapes came from vines planted in 1968. There is honey and quince on the nose, with persistent and ripe flavours of apples, quince, apricot and peach. J-M’s model for this wine was Vouvray. He tweaked the vineyard practices and then fermented the wine in neutral barrels with natural yeast. This made the Lieutenant Governor’s short list. I can’t imagine how it missed getting an award. 93. Road 13 Jackpot Viognier Roussanne Marsanne ($29). This is the award winner. It is not on the winery’s website, leading me to think that the production was small and that it is only available at the winery. These three varieties were co-fermented and that probably explains the complex harmony here. Crisp and refreshing, the wine has aromas and flavours of citrus, apricots and tropical fruits. The layered texture is appealing, giving the wine depth and persistence. 91. Jackpot is the term that Road 13 uses for most of its reserve tier wines. While Road 13 uses screw cap closures for most of its wines, it has decided to use corks for the Jackpot range. Road 13 Chardonnay 2010 ($24). Lightly gold in colour, the wine has buttery and citrus aromas, with flavours of tangerine mingled with toasty oak notes. The oak is very subtly handled, not overshadowing the fresh fruit flavours. 90. Road 13 Jackpot Sparkling Chenin Blanc 2009 ($34.99). You have to go the winery to get this excellent bottle-fermented wine, with a toasty, citrus aroma and with creamy brioche flavours and a crisp citrusy finish. 92. Road 13 Pinot Noir 2010 ($24.99). Still tight and youthful in the bottle, this is a wine with vibrant and deep flavours and aromas of strawberry and raspberry. 89. Road 13 Jackpot Pinot Noir 2009 Castle Vineyard ($39.99 for a production of 125 cases). This elegant wine appeals with delicate aromas of strawberry and spice, and with flavours of cherries and raspberry and what the winery prefers to call “silken black tea.” 90. Road 13 Syrah 2010 ($35). The wine begins with a touch of white pepper and deli spices on the nose, with flavours of black cherry, blackberry and chocolate. 91. Road 13 Merlot Syrah 2009 ($45). This wine, a blend of 70% Merlot and 30% Syrah, also was a finalist for a LG award. This is a boldly ripe wine, with aromas of sage and plum jam. It has a big juicy palate with flavours of plum, fig, red berries and vanilla. 91. Road 13 Fifth Element 2009 ($50 for a production of 250 cases). The wine got its name from an earlier blend of five varietals. This one is 68% Merlot, 22% Syrah and 10% Cabernet Franc. Almost black in colour, the wine has savoury notes of cassis, black cherry, fig, vanilla and chocolates. It is rich and full-bodied, but with the structure to age well. The winery says this will cellar to 2017, which is conservative. 92. 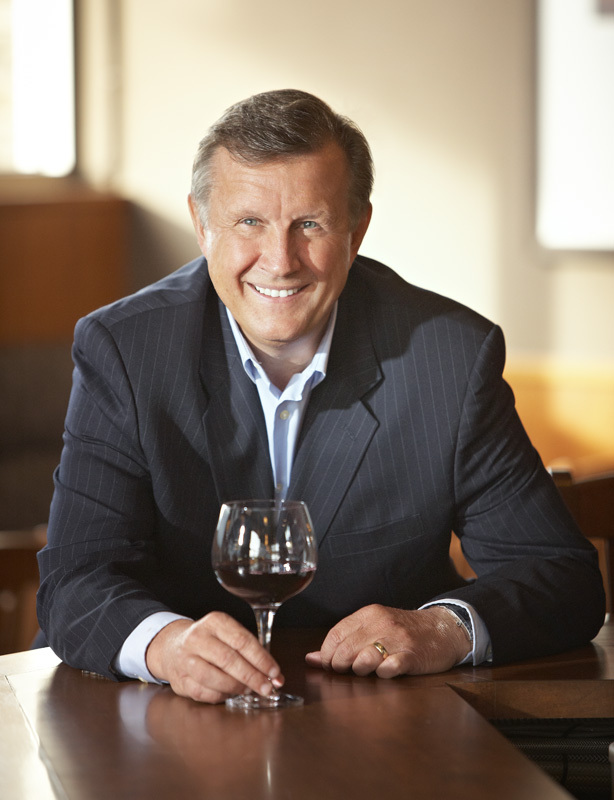 Begun 10 years ago, the Lieutenant Governor’s Awards for Excellence in British Columbia Wines has clearly established itself as a major wine competition. This year, 94 wineries entered 347 wines. Both figures are new records. Only 30 wineries took part in the first year. This year, eleven wines from 10 producers emerged as winners in this rigorous competition. The awards were inaugurated by Lieutenant Governor Iona Campagnolo and continued by her successor, Steven Point. One of the concluding events of his five years in the office will be his tour to each of the winning wineries in late July to make the awards in person. Several details set this competition apart from all the other provincial and national competitions. To begin with, wineries pay no entry fees. Wineries are so accustomed to paying to enter wines in competition – sometimes hefty fees – that at least one excellent Okanagan winery skipped the Lieutenant Governor’s Awards, thinking there was also a fee. Secondly, there are no silver or bronze medals or honourable mentions. This is meant to enhance the awards that are given. There are seldom more than a dozen awards given each year. Thirdly, this is the only competition in British Columbia in which the awards are handed out by the representative of the Crown – just in case anyone thinks this is not a big deal. This year, the six judges split into two panels and, during a day and a half of tasting, selected about 40 wines for the final round of judging. From that already astonishing distillation of quality, the judges, now in a combined panel, chose the final winners. Full disclosure: I am one of the wine judges. I was impressed with the consistency of quality among all the wines and by the promise shown by Cabernet Franc, Pinot Noir and Rhone whites. These are the winners in 2012. The tasting notes and point scores are my own, not those of the rest of the panel. EauVivre Winery Pinot Noir 2009 ($19). A first-time winner, EauVivre is a winery near Cawston that was opened in 2009 by former Saskatchewanians Jeri Estin and Dale Wright. This is an elegant and polished wine, light in hue but silky in texture, with aromas and flavours of raspberry and mocha. 89. Gold Hill Winery Cabernet Franc 2009 ($25 and nearly sold out). This is a first LG win for a winery that just opened last year midway between Oliver and Osoyoos on the Golden Mile. The wine is big and juicy, with aromas of cassis and blueberry, and flavours reflecting those fruits along cherry and spice on the finish. 91. Hester Creek Estate Winery Reserve Merlot 2008 ($26.99). This is, if memory serves me, the first win by one of the oldest of Okanagan wineries. The award underlines the profound turnaround here since Curt Garland bought it in a bankruptcy auction in 2004 and then hired a veteran winemaker, Rob Summers, in 2008. This is a bold, concentrated wine made with grapes from vines planted in the 1970s. It begins with aromas of vanilla and blackberry and has flavours of plum, black currant, mocha, with a hint of coffee. 91. Jackson-Triggs Entourage Sparkling Chardonnay 2008 ($29.99). This winery is a multiple winner of the Lieutenant Governor’s Awards, but never before with a sparkling wine. Winemaking for this wine began with barrel-fermented Chardonnay which was then re-fermented in Champagne bottles and allowed to spend two years on the yeast lees before being disgorged. As a result, there is an appealing toasty note on the aroma and the palate, along with citrus flavours and a creamy texture. 90. Laughing Stock Vineyards Syrah 2010 ($34). This Naramata Bench winery is a repeat winner of this award; last year, it won with a Pinot Gris. This wine is made in the classic Côte Rotie style, blending 94% Syrah with 6% Viognier. The grapes are grown near Osoyoos, superb Syrah terroir. The wine has white pepper on the nose, with a touch of that on the palate. Big and generous, the wine tastes of plum and black cherry. 90. Painted Rock Estate Winery Syrah 2009 ($40). Painted Rock, an Okanagan Falls area winery, also won two awards in this competition two years ago. This Syrah also is developing a track record for awards, having won silver at the 2012 Syrah du Monde competition in France. The wine begins with an almost jammy aroma of ripe fruit. It hits the palate with a big scoop of black cherry, fig, plum, chocolate and liquorice. 92. Painted Rock Estate Winery Red Icon 2009 ($55). This wine was named the best red in Canada in last fall’s Canadian wine awards. This is the third vintage of Red Icon, a blend of all the Bordeaux varieties except Malbec, but also with a dash of Syrah in this vintage. It begins with aromas of spice, blackberry, black currant and dark cherry. It shows a rich texture with flavours of berries, plums, dark chocolate and vanilla. This is a wine with power and elegance. 94. Poplar Grove Winery Cabernet Franc 2009 ($35). This winery, which first made a name for itself with Cabernet Franc, is another repeat winner of this award. This is a classic example of the variety – lots of brambly berry aromas and lots of raspberry, cherry and red currant on a palate, which is full-bodied. 91. Road 13 Vineyards Jackpot Viognier Rousanne Marsanne 2011 ($29). This winery is a repeat winner, having also won under its previous name, Golden Mile Cellars. Winemaker J-M Bouchard fermented these three varietals together when they arrived at the same time on his crush pad. It certainly made a harmonious and cerebral wine, crisp on the palate, with aromas of citrus and stone fruit and with a bowl of tropical fruit flavours. 91. This blend may be available only at the winery; it does not appear on the winery’s web site order form. Ruby Blues Winery Viognier 2011 ($25). This award is a first for Ruby Blues but not for proprietor Prudence Mahrer. When she and husband Beat owned Red Rooster Winery, they won two awards, both with Gewürztraminer. This wine was made with grapes from the Ruby Blues vineyard and from the vineyard of Lyndsay O’Rourke, the winemaker at Ruby Blues. This crisp and refreshing white begins with aromas of citrus and stone fruit and delivers flavours of citrus and pineapple, with a spine of minerals that give the wine a laser-like focus. 91. Thornhaven Estates Winery Gewürztraminer 2011 ($17.90). Thornhaven is a repeat winner of this award and has made a reputation for its excellent Gewürztraminer. This is a wine with superb varietal expression: spicy aromas, rich flavours of lychee and tangerine and just enough residual sugar to give it a plump, honeyed finish. 91.